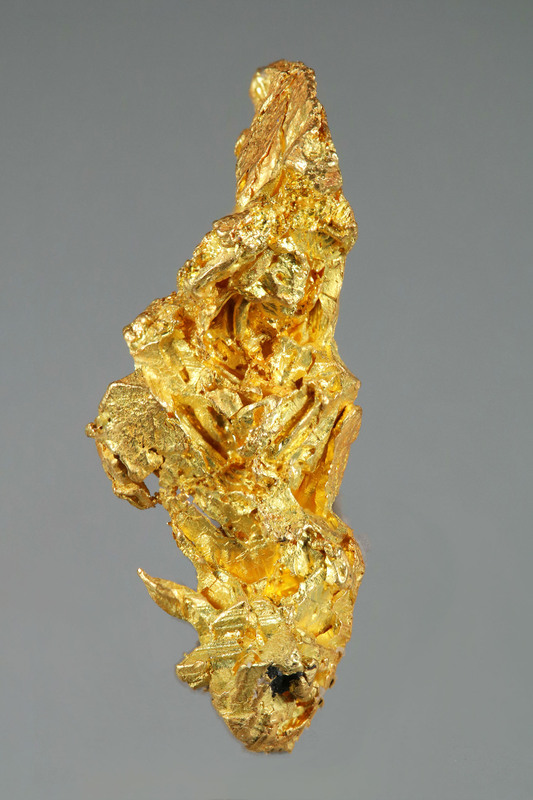 Very sharp and defined gold crystal with lots of intricate hoppering. 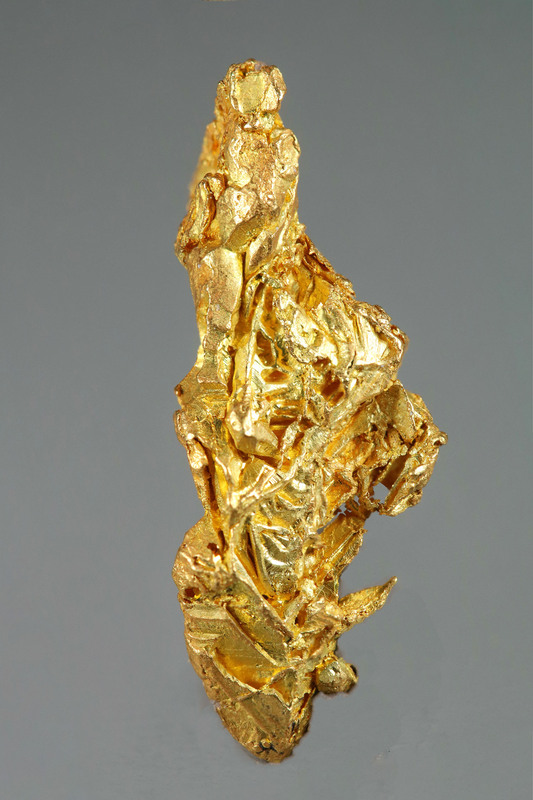 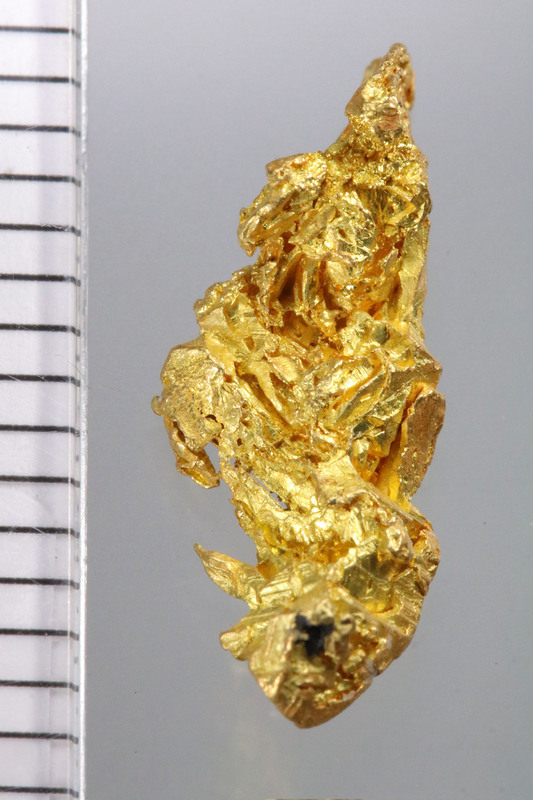 A rare and unique piece of gold, especially when you consider the location - gold crystals from the Tintina gold belt are almost unheard of. 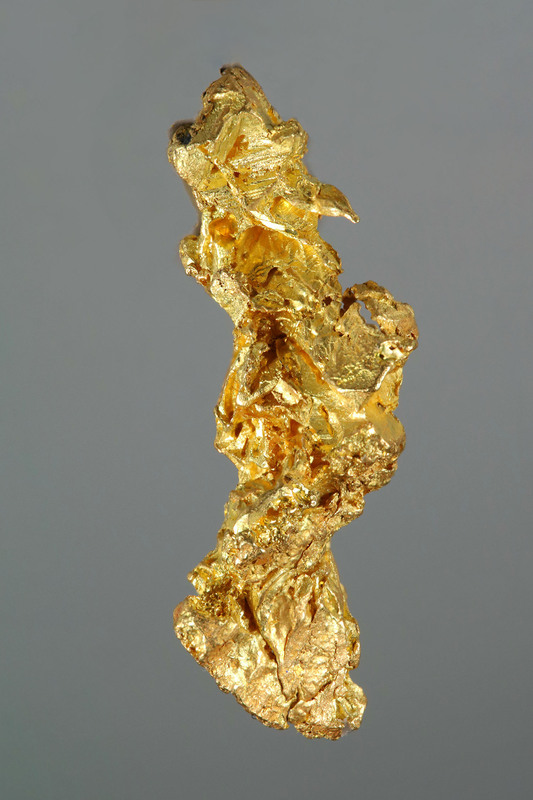 This one is from a small batch that we recently sourced from a small mining operation in the Yukon. Dimensions: 7/8" by 5/16" or 17mm by 10mm.